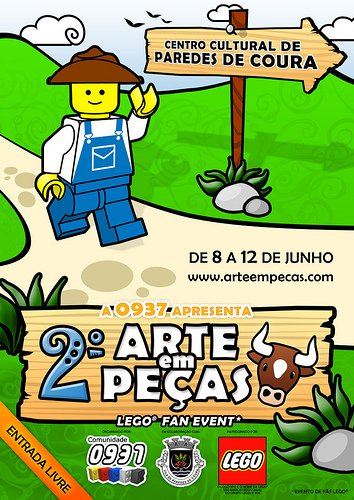 The second annual Portuguese Lego event called Arte em Peças (Art in Pieces) will be held in Paredes de Coura from June 8-12. Special guests include Jan Beyer from LEGO Community Development and LEGO Designer Marcos Bessa. You can check out a video introduction on YouTube that contains highlights from last year’s event.